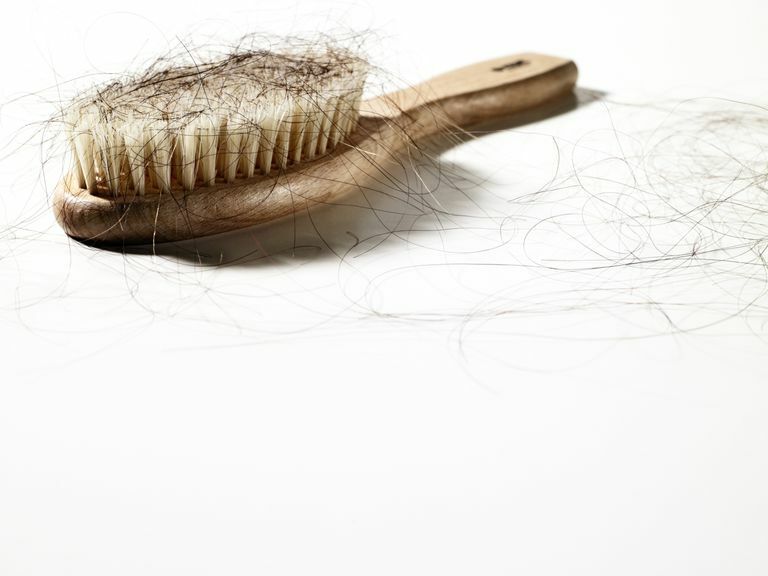 Several conditions, as well as aging, can cause hair loss, but if you are losing your hair and it isn't related to normal aging, there's a chance your small intestine may be to blame. In some cases, celiac disease – a condition where gluten, a protein found in wheat, barley, and rye triggers intestinal damage – can cause hair loss. Fortunately, following a gluten-free diet can help restore any hair you may have lost while undiagnosed or still eating gluten. How Does Celiac Disease Lead to Hair Loss? If your celiac disease has gone untreated for a long time, you may be malnourished. Malnutrition can cause hair loss, along with a host of other problems. Once you fix any vitamin deficiencies related to being malnourished, your hair should grow back. Celiac disease is also related to other autoimmune diseases, conditions where your immune system attacks your body, known to cause hair loss. In general, having one autoimmune disease makes you more likely to develop a second autoimmune condition. If your hair loss is not associated with malnutrition or age, it may be related to two other autoimmune diseases associated with hair loss—alopecia areata and Hashimoto's thyroiditis. Alopecia areata occurs when your immune system attacks your hair follicles, causing varying degrees of hair loss. Alopecia areata usually starts with one or more small, round, smooth bald patches on your head, and can eventually cause complete hair loss on your scalp or even on your entire body. Full body hair loss is known as alopecia universalis. Alopecia usually begins in childhood and affects both genders equally. Approximately 2 percent of the population, including more than 5 million people in the United States, have alopecia areata. Like with celiac disease, there is no cure for alopecia. One of the first research studies linking alopecia with celiac disease was published in 1995. Italian doctors had noticed that several of their patients with alopecia also had celiac disease and that in one of these patients—a 14-year-old boy—the missing hair on his scalp and body completely regrew after he adopted a gluten-free diet. This boy's case and a few others prompted the doctors to screen a large group of alopecia patients for celiac disease. A relatively high rate of celiac disease was found in these patients – much greater than could be expected by chance – leading doctors to recommended celiac disease blood tests for those with alopecia. Since then, other reports have linked celiac disease with alopecia areata. Many of these reports show hair regrowth following a gluten-free diet; however, one study found no hair regrowth following celiac diagnosis and treatment. Even in people without celiac disease, alopecia can be very unpredictable. Sometimes the hair simply grows back by itself. Typically, hair loss caused by hypothyroidism resolves once thyroid hormone replacement brings your thyroid hormones back into a normal range. If your hair loss isn't explained by malnutrition, age, or alopecia, you may want to talk to your doctor about getting your thyroid tested. Barbato M et al. Alopecia and coeliac disease: report of two patients showing response to gluten-free diet. Clinical and Experimental Dermatology. 1998 Sep;23(5):236-7. Bardella MT et al. Alopecia areata and coeliac disease: no effect of a gluten-free diet on hair growth. Dermatology. 2000;200:108-10. Corazza GR et al. Celiac disease and alopecia areata: report of a new association. Gastroenterology. 1995; 109:1333-7. Naveh Y et al. Celiac disease-associated alopecia in childhood. Journal of Pediatrics. 1999;134:362-4. Is Celiac Disease Why You Can't Get Pregnant? Does Celiac Disease Increase or Decrease the Risk of Colon Cancer?